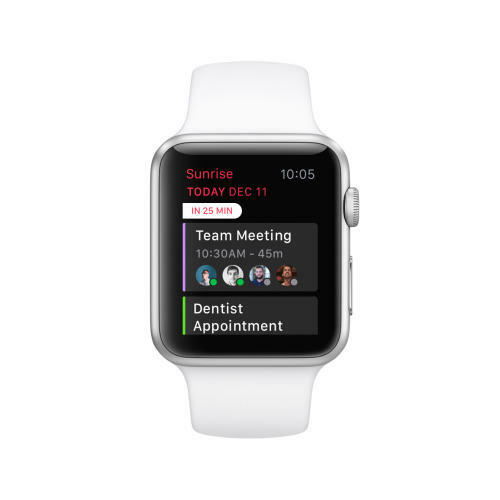 Flexibits launched Apple Watch support for Fantastical 2 on Wednesday and, on Thursday, Microsoft-owned Sunrise followed suit. The firm announced that the new iOS application now offers support for the Apple Watch, and the user interface looks excellent. 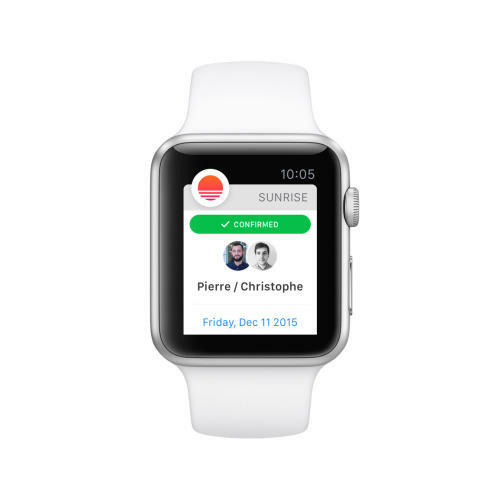 Once installed, you’ll find the Sunrise application on your Apple Watch homescreen. From there, you can open it to view your upcoming appointments, starting with the next one based on the time of day. The app will show which calendar the appointment is from, how long until the meeting starts, and provides small avatars of the folks who will be attending. “You can tap on events to access more details, like attendee list or location, and force touch to change your RSVP status,” Sunrise explained. 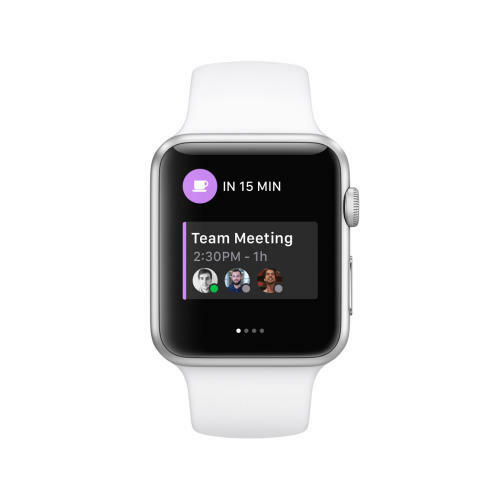 It also includes a Glance component, which provides a quick look at the next meeting. Notifications are included, too, alerting you of RSVPs and event reminders. Unlike Fantastical 2, however, it doesn’t appear that you can add new appointments using your voice, and it doesn’t appear to offer integration with Apple’s Reminders application. It looks great, though, and Sunrise is completely free. Hit the source to grab the update now.